Hyde Park is about to get a lot more fashionable. In the past month, the neighborhood welcomed clothing boutiques Independence and Sir & Madame into the Harper Court and 53rd Street development. Independence, which will be located in Harper Court, is the brainchild of owner and founder George Vlagos. Vlagos, the son of a Greek immigrant cobbler, originally conceived of Independence as a physical outlet for his shoemaking business, Oak Street Bootmakers, which up until that point had only done business online. The original store is located in the Near North Side neighborhood. Vlagos said that when he decided to open a new store on East 53rd Street and South Harper Avenue, he “definitely had students and faculty in mind.” As a result, he purchased an entirely new assortment of products for the store that are more tailored to the tastes of college students. He plans to hire student workers to help staff his store. Everything in his store, Vlagos claims, is both of extremely high quality and made in America. He admitted that these traits come at a price as his stores’ items often cost substantially more than comparable items at other stores. However, Vlagos believes that the benefit of the higher quality of his products far outweighs the additional cost. “It’s just a really well made product. You don’t have to worry about it going in and out of style. It’s just classic and iconic,” Vlagos said. 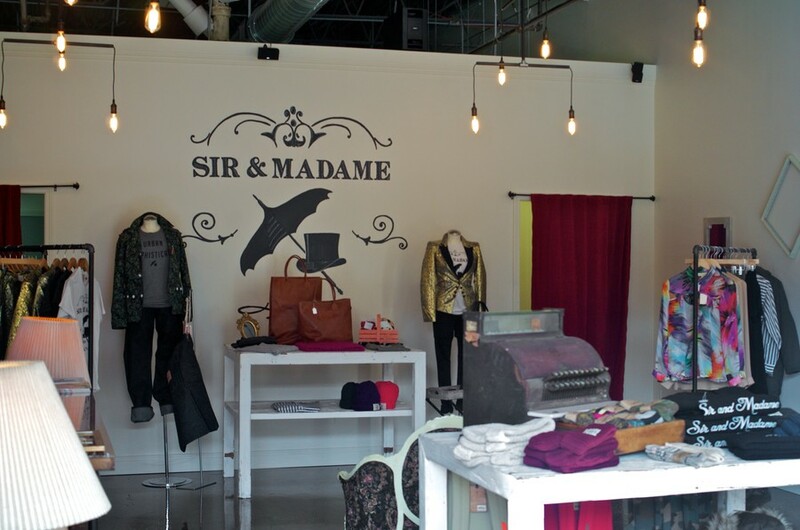 Adjacent to Independence, vintage-inspired Sir & Madame has called the Ukrainian Village home for the past six years, and for the next six months it’ll also feature in Hyde Park. Autumn and Brian Merritt, natives to the neighborhood, plan to set up shop as a pop-up, but if the months go well, they may consider making the branch permanent.